There's a true tale I've been telling for over 13 years now. My obsession with writing down a screenplay in Mexico very nearly cost me my life. I tell the story most often as a warning to others, but the response I most frequently get is that my true story may be better than what I was writing at the time. 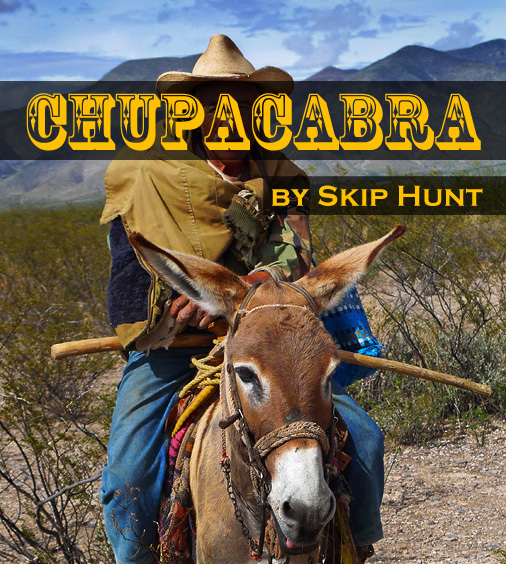 The last person I told this story to late at night, out in the desert of the Wirikuta region of Mexico was an Argentinian juggler. We didn't particularly hit it off, but we both found ourselves killing time late at night in the middle of a full-moon night and too wired to sleep. This fellow was game for listening first to my entire true tale of obsession and then the entire story I was trying to write at the time. His assessment was that the true story was his preference. He very much loved both, but he believed the true story actually happened exactly as I told it, and this gave it more appeal. I decided to finally record this story that I've told for so many years by desert camp fires, jungle treks, and caffeine-fueled late-night cafe chats. I'm not certain what I'm going to do with it, but I broke it down into chapter notes in pieces that I felt I could get through a recording in one take. It was recorded in the same room I used in the desert 13 years ago. UPDATE: This audiobook is just the beginning. My intention is to evolve this into more complex pieces and maybe even a feature-length film. Stay-tuned!